Primavera means spring in Italian, and nothing reminds me of the season like fresh produce. But Pasta Primavera the dish has quite the checkered history. It's actually an American invention, having nothing to do with Italy at all. Rumor has it that it was first served at Le Cirque in NYC. I don't know about you, but my experiences with Primavera have included limp Broccoli and Carrots in a woefully slimy, colorless sauce. Now you understand why we just had to make new! 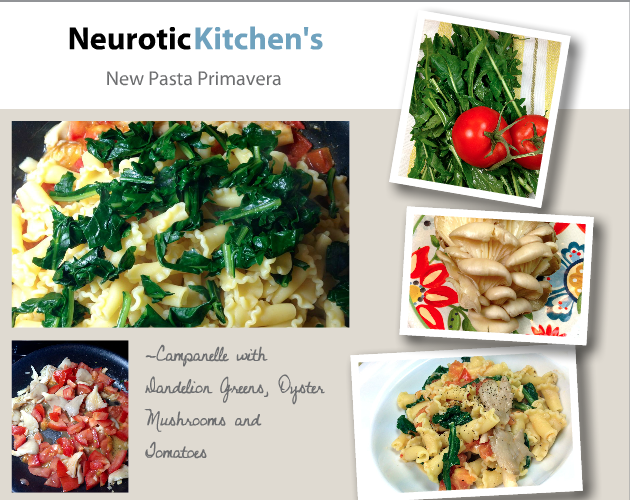 But first, do check out this brilliant and funny post from Poor Man's Feast on The Myth Of Pasta Primavera. Our Primavera remake has received quite the zhuzhing. What's in it, you ask? Well, since I was thrilled to finally see nicely ripened Tomatoes at the market, they made the cut. I also set out to incorporate Dandelion Greens, an Italian favorite that has yet to gain wide popularity, in my recipe. Their slightly bitter, lemony quality really wakes up this dish. Finally, tender Oyster Mushrooms serve as the perfect sponge for all our subtle flavors, and fun Campanelle Pasta provides a worthy vehicle for this delicate yet hearty spring dish. 1 Oyster Mushroom, about the size of a fist with its core cut off to release the petal-shaped mushrooms. Blanch Dandelion Greens in boiling salted water for 1 minute. Drain in a colander and rinse again with cold water to stop the cooking. Set aside. Meanwhile, in large skillet, melt the Butter. Add in the Garlic and stir until fragrant, about 2 minutes. 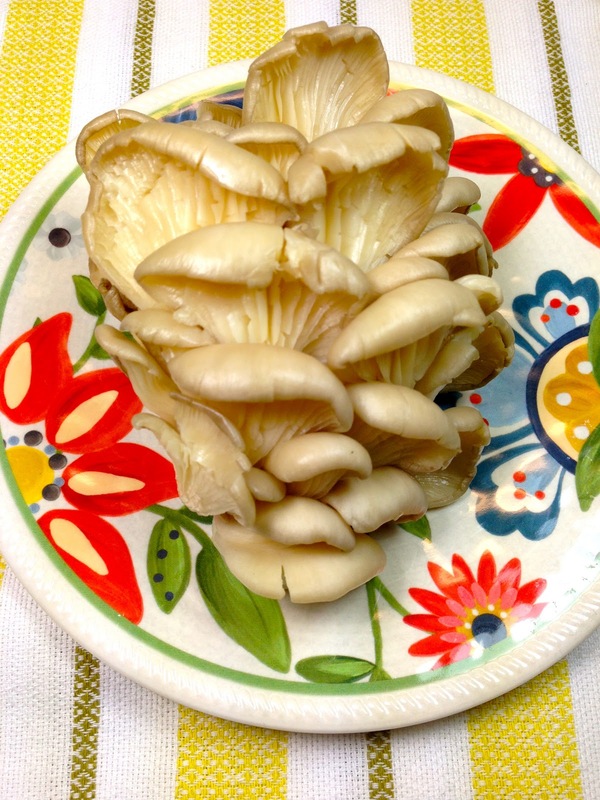 Add the Oyster Mushrooms and cook another 1 to 2 minutes until tender. Add the chopped Tomatoes and cook, stirring occasionally, for another 5 minutes. Tomatoes and Mushrooms should release a good deal of water which will become the basis of your sauce. Add a 1/2 teaspoon of Salt and the Lemon Zest. Stir and turn off the flame. Once Pasta water is boiling cook Campanelle for about 10 minutes until almost cooked but still a bit firm. Drain, reserving at least 1/4 cup of the Pasta water. Turn the heat back to a medium flame under the Vegetables. Pour Campanelle into the skillet and toss with the Vegetables. Add the Dandelion Greens to the skillet and stir. Add 2 or 3 Tablespoons of Pasta Water and allow liquids to bubble for about a minute, adding more liquid as desired until the Sauce thickens just a bit to the desired consistency. Turn off heat. Add the Parmigiana Cheese and toss through the Pasta. Finish with a generous sprinkling of Black Pepper. Taste for Salt and serve immediately. Enjoy! Especially since our Sixties-Inspired Party Bites Post the other day, I've been on a finger food kick. Actually, this is is pretty much my baseline. Little nibbles are my absolute favorite - and for me, the best type of party is a cocktail party with small plates and lots of variety. I have trouble making decisions ...especially food related decisions, so a little of everything is my kind of meal. 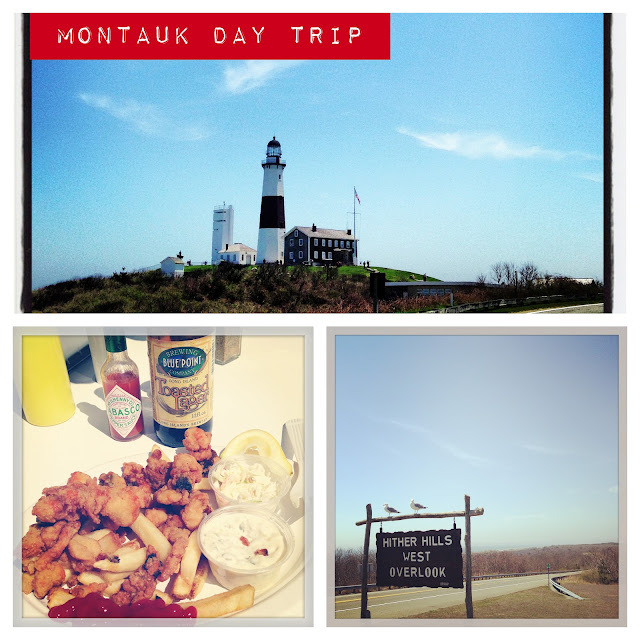 Now that spring is really here (NYC hit 65 degrees the other day! ), party season will no doubt be getting into full swing. To get you ready, today's post will focus on easy to prepare party hits that are based off a special store bought/ready made ingredient. Whenever I find a really smashing ingredient, I am always inclined to build several dishes around it, because when you start with amazing building blocks, it's hard not to turn out a great dish. I suppose today's post is the Neurotic Kitchen version of "semi-homemade,"
What joy was mine when I discovered Marconi Muffaletta mix at my favorite ever Italian Gourmet Store, Jerry's in Englewood, NJ (Check Jerry's out HERE). This store is so great that it will get its own post one of these days. For the uninitiated, Muffaletta is a type of sandwich that's famous in New Orleans. Said to have been devised by a Sicilian Immigrant (my people!) who owned a grocery store there, and so named for the large round roll the sandwiches were built on, Muffaletta is a delicious sandwich that includes a mix of Deli Meats, often Mortadella particularly, Cheese, and a Pepper and Olive Relish that provides an incredible piquant flavor with a hint of spice. For more about the Muffaletta, click HERE. I have been meaning to make Muffaletta relish for some time and doing my usual poking around the internet to research the sandwich itself. Time and again, however, I was deterred by the volume ingredients that the olive spread requires. 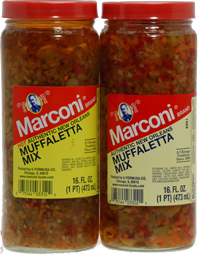 That's why when I spied this ready-made Muffaletta Mix from Marconi, I knew my ship had come in. Lay Mortadella slices in one layer and slice them in half down the middle. Using on the bottom half of the Mini Brioche Buns, trim them to about one inch thickness and reserve remainder of bread for another use. 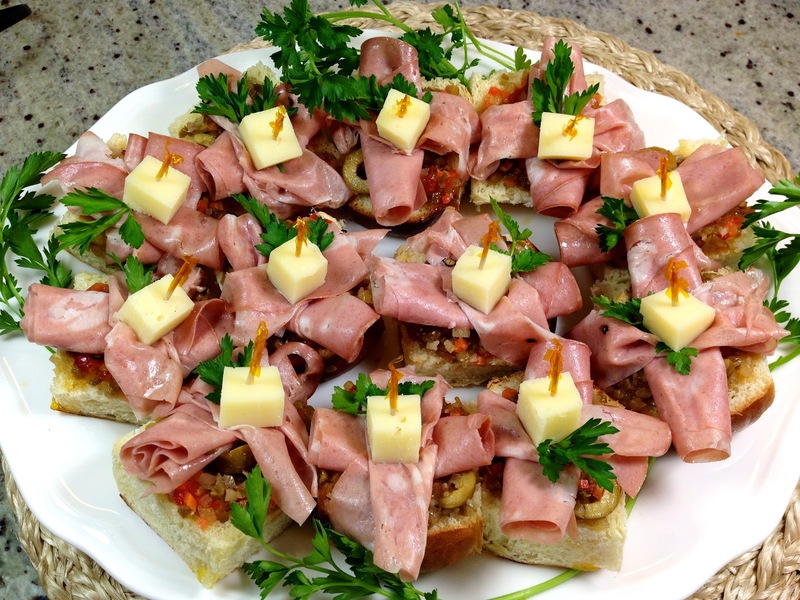 Spread each of the 12 pieces of bread with about 1 heaping teaspoon of Muffaletta Mix. Take two halves of the Mortadella Slices and roll them up. Place on top of the Muffaletta Mix, crisscrossing one over the other. Next, place the sprig of Parsley in the middle of the two Meat slices and place a cube of Caciocavallo Cheese on top of the sprig. Secure the Sandwich by driving a toothpick through the Cheese and towards the bottom of the Sandwich. Enjoy! 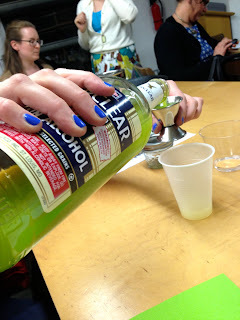 Next up, an easy to assemble handheld cocktail bite that uses everyone's favorite cold cut - Prosciutto. What makes these Prosciutto Wrapped Breadsticks better than usual? Truffle Butter. We prefer D'Artagnan brand. 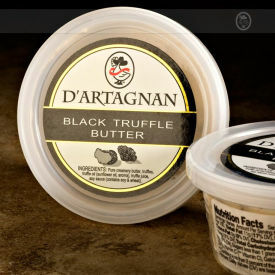 When mixed with fresh, bright Herbs and slathered over Breadsticks, this high-quality Black Truffle Butter provides an extra flavor dimension that makes for an hors d'oeuvre greater than the sum of its parts. Whenever I find D'Artagnan Truffle Butter, an ingredient I first heard about from Ina Garten, I like to store it in the freezer so it's ready to go whenever I get the urge. Another great way to use this delicious product is in this amazing dish that practically makes itself - Ina Garten's Tagliarelle with Truffle Butter. Combine softened Truffle Butter with Fresh Herbs, Pepper and Oil. Using a butter knife, carefully spread the Butter Mixture about halfway down each Breadstick. Use a light touch or Breadsticks could snap. 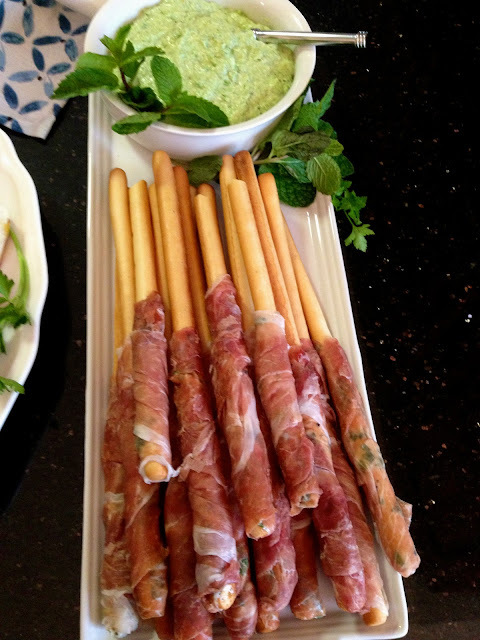 Wrap one slice of Prosciutto around each Breadstick, covering all of the Butter. You can press small pieces of Prosciutto in as well to fill any gaps. The culinary all-star of the veggie world has made its brief yet triumphant annual appearance at farm stands everywhere. To learn more about the illustrious Ramp, check out last year's post and some bonus Ramp Recipes HERE. This week, we are doing lots with these babies, and the best news is that all our recipes will be super easy yet impressive. Would you expect anything less? 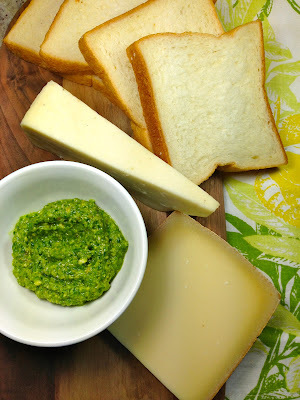 Let's start simple with Ramp Pesto, a super way to use Ramps but also, a way to extend their short seasonal window. Our Pesto is versatile, delicious, and freezes well. Use it as a sandwich spread (just you wait until we show you what we have planned for our next post) or as a traditional Pasta topping. No matter what you do, you'll love the fresh and garlicky character of these hard to resist greens. 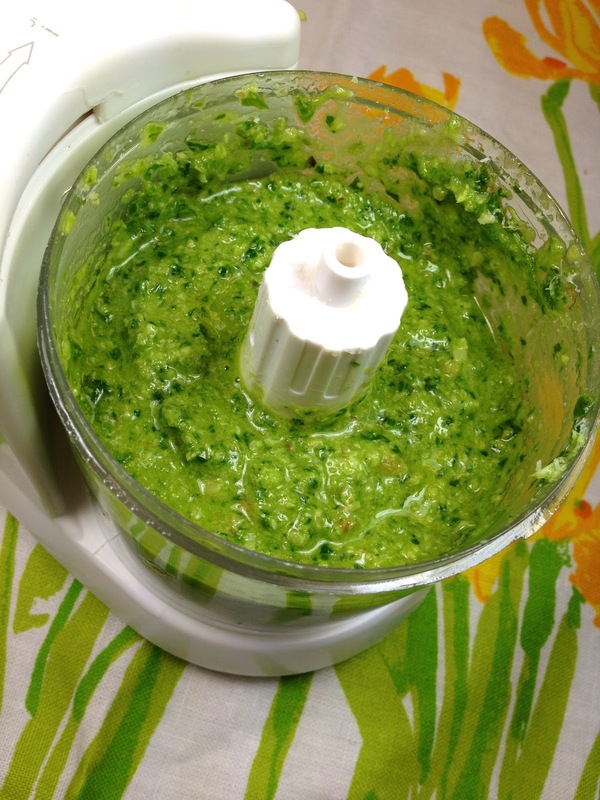 In a food processor, process Ramps until finely minced. Add Lemon Juice, Salt, and to finish, add Parmigiana Reggiano Cheese. Process well. Next up, Lemony Ramp Ravioli with a Savory Brown Butter Sauce and Crispy Ramp topping. But how can Ravioli be easy and quick? Well, we're using a great shortcut that I first learned from Giada De Laurentiis - Wonton Wrappers. That's right, while not authentically Italian of course, Wonton Wrappers are a great way to make Ravioli that is fast, easy, and delicate. Find them at Asian Groceries in the freezer section. 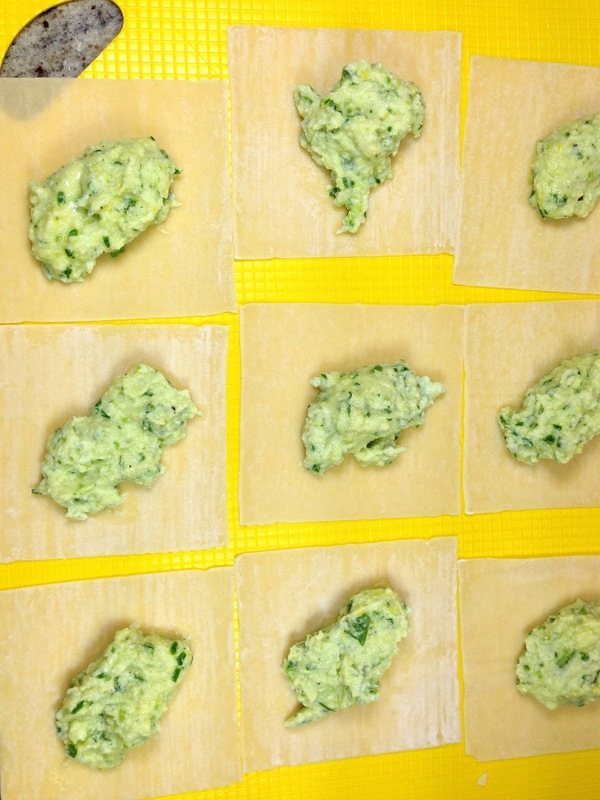 Our Ravioli recipe highlights the garlicky Ramp while marrying it with the standard savory Ricotta filling. We took it one step further by mixing in a healthy dose of Lemon Zest (a nod to Amalfitana Ravioli from the Lemon-obsessed Amalfi coast). Finally, an easy two-ingredient Brown butter tops our little Ravioli with savory goodness. Crispy fried Ramp greens are the final flourish. These Ravioli can be frozen in their uncooked state, just be sure to separate layers with wax paper or they will stick together. When ready to eat, you may boil them frozen, but they will take a few extra minutes to cook beyond the regular 4 minutes. 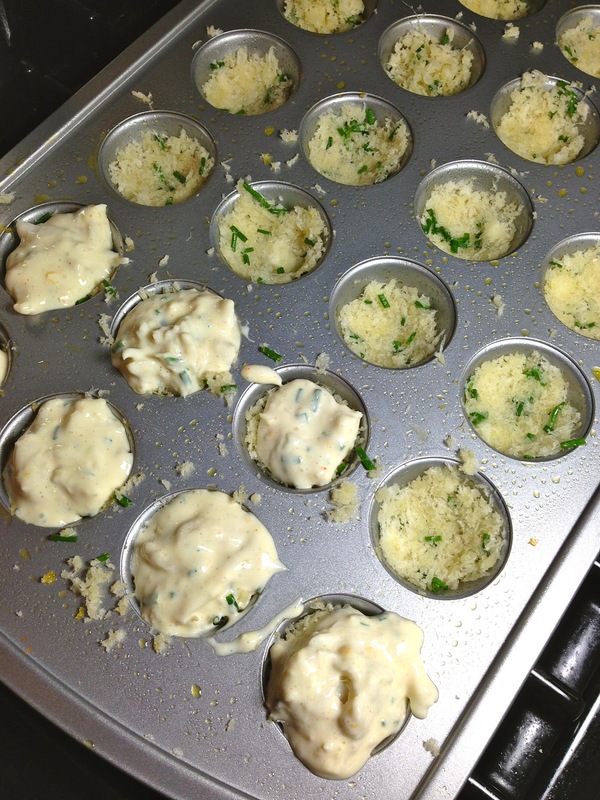 Create the Ravioli Filling by combining all filling ingredients. In a small bowl, mix up the Egg Wash for sealing the Ravioli by beating one egg and adding some water (about a Tablespoon). Lay out Wonton Wrappers on a clean surface. 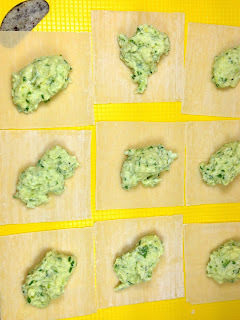 Place 1/2 teaspoon Ravioli Filling in the middle of each Wrapper. Dip a pastry brush in Egg Wash and paint around the edges of the Wrapper. Carefully fold the square Wrapper in half, creating a triangle. Use your fingertips to firmly press down on the dough to seal. Place on a baking sheet or other surface. Repeat until you've filled the desired amount of Ravioli. In a large Pasta Pot, boil salted water. Working in small batches (these Ravioli are particularly delicate), boil the Ravioli until done. Try to keep the boil at a gentle pace so Ravioli don't break. They should take only 4 minutes to cook. Carefully remove them to plates using a slotted spoon. Once plated, prepare the Brown Butter and Crispy Ramp Sauce. In a medium sauce pan, melt 1 stick Salted Butter. Let it sit over medium heat until it starts to bubble and becomes a brown/golden color. Once browning, add the thinly sliced Ramp Greens and allow to crisp a bit. Lower heat if butter seems to be burning. 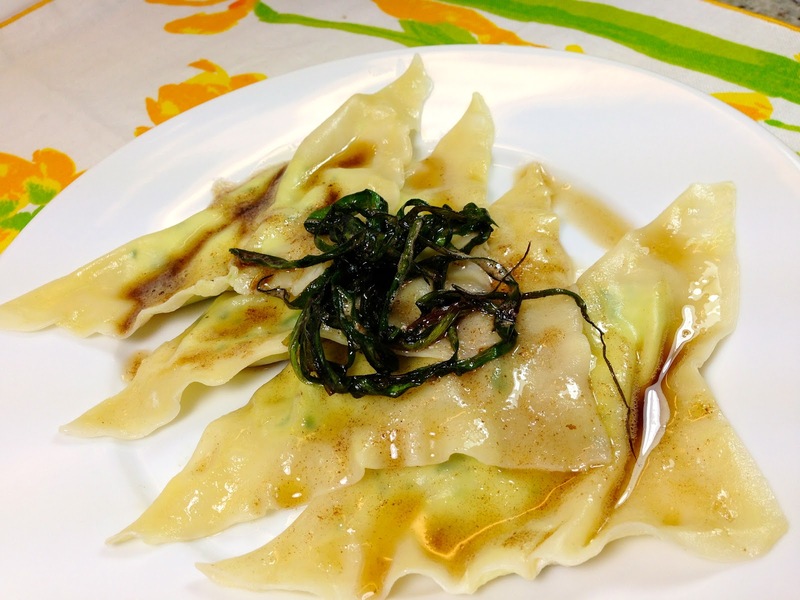 Pour Butter Sauce over each plate of Ravioli and garnish with crispy Ramps. Enjoy! Stay tuned for more Ramp Recipe madness later this week, and we recommend you get 'em while you can. Peak Ramp season is only about 4 weeks! We left Don Draper in a familiar place at the close of season 5 of Mad Men - sidled up to the bar, deep in thought, with beautiful strangers buzzing around nearby. When one of the women propositions him on behalf of her friend, Nancy Sinatra's ominous rendition of "You Only Live Twice," swells even louder. So we begin the penultimate season of our most favorite show with great anticipation. Will he or won't he? The suspense has been killing us for a year. Whether or not Don will return to his skirt-chasing ways, we are surely back to our old tricks with yet another Mad Men Premiere Party Menu. The success of last year's (check it out HERE) made us even more excited to create the spread that we'll feature today. The Moscow Mule originated several decades before the Mad Men days, but it does make our list of cocktails that our favorite ad execs would have enjoyed. A party-ready drink that can be assembled right in the glass, the Mule is, as classic cocktails go, somewhat under appreciated. We chose it for its refreshing character. 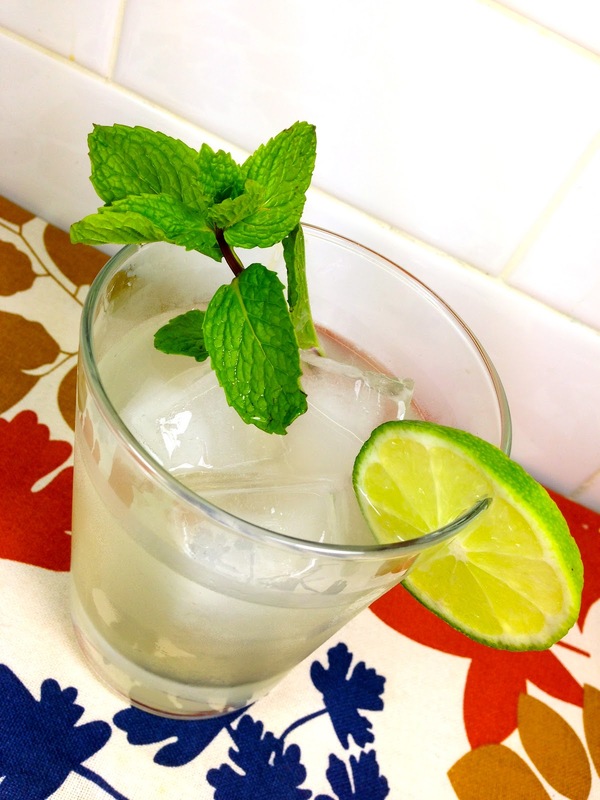 A healthy squeeze of Lime pairs with a clean Vodka base while slightly sweet and refreshing Ginger Beer (we prefer Gosling's brand) rounds out the drink. Toss in a sprig of Mint for color. Want other ideas? 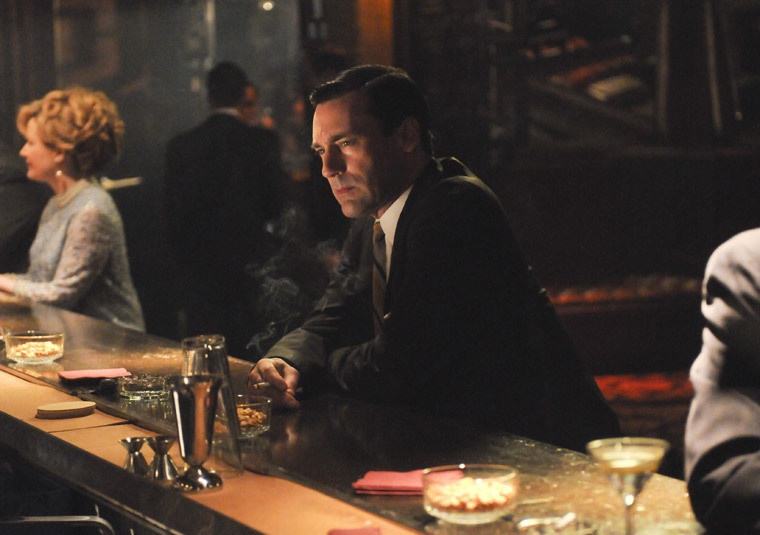 Check out AMC's Official Mad Men Cocktail Guide: HERE. Pour Vodka over Ice in a short glass or copper mug. Our first shareable dish is Baked Coconut Shrimp served in a Pineapple. A nod to the fact that all things Polynesian often dominated Sixties cocktail parties, the presentation and some of the ingredients of this dish are also inspired of my grandma, Dolly. One of her standard party classics, she would coat the Shrimp in a little Bisquick and Egg batter before rolling them in Sweetened Coconut Flakes and deep frying them. Grandma was always focused on smashing presentation, so she'd serve these crowd-pleasers in a hollowed out Pineapple. While we won't be deep frying our Shrimp, we will use her serving method and will also adapt her standard Duck Sauce accompaniment to add a bit of spice and a bit more tanginess. She liked to use Saucy Susan brand Duck Sauce. I hope you enjoy! For the dipping sauce - combine Lime Juice, Jalapeño, Duck Sauce and Salt. Stir and set Aside. Preheat oven to 400 and line a large cookie sheet with parchment paper. Spread Coconut Flakes and Cornstarch on two different plates. Place Egg Whites in a bowl and whisk vigorously until frothy. Holding Shrimp by the tail, dredge in Cornstarch, dip in Egg Whites, and finally, roll in the Coconut Flakes. When finished, sprinkle all the Shrimp very lightly with a pinch of Salt. Place Shrimp on cookie sheet and bake for 15-18 minutes until they become golden. Make sure to turn in the middle of the cooking process, at around 8 minutes in. Place Shrimp in the hollowed out Pineapple with the dipping sauce on the side. Our second shareable party bite is derived from an uber popular Sixties dinner party dish - Steak Diane. The earliest mention of Sauce Diane comes from French culinary master, Escoffier, around the turn of the century, but in the Sixties, Steak Diane was de rigueur for any elegant soiree. How do you translate this sit down dish for a crowd? I decided to make it handheld by putting it on a stick just like you would Beef Satay. Steak Diane's typical cream sauce laced with flambeed Cognac and Beef Broth can be drizzled over the Satay or served in a small bowl. Either way, the dish that was once the hallmark of haute cuisine (and fittingly for Mad Men, is said to have originated in New York) deserves a remix. 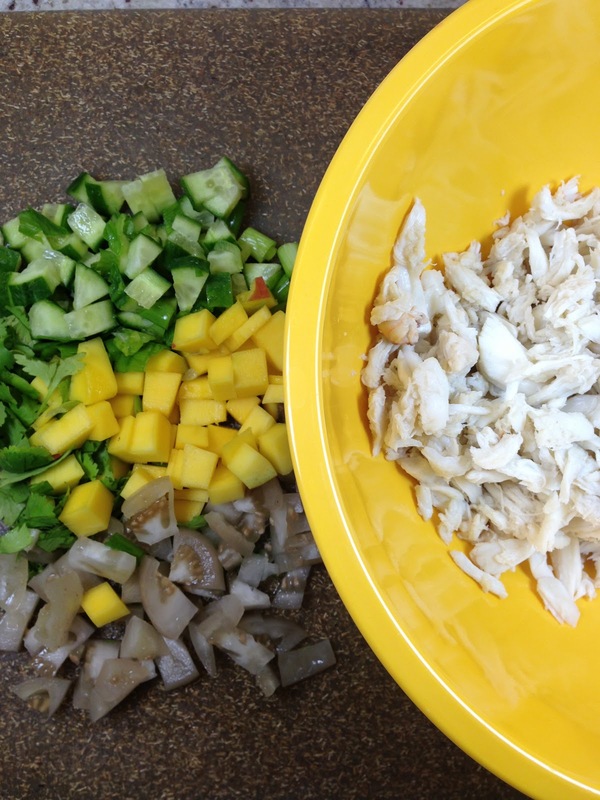 Several hours before, whisk the marinade ingredients together in a bowl. Put Steak in a large ziploc and pour Marinade over Steak. Let it sit refrigerated for at least two hours or overnight. Soak wood skewers in a bowl for at least a half hour. When ready to cook or an hour before, slice Steak against the grain into centimeter wide strips. Thread a strip of Steak onto each wooden skewer and when done, sprinkle them all with a pinch of Salt. Put Beef Broth in a medium sauce pan. Over medium high heat, cook for 15 minutes until reduced to about a 1/2 to 3/4 cup. Remove broth to a bowl and set aside. Reheat the Saucepan and melt 2 Tablespoons of Butter in it. Next add Garlic and minced Shallot and cook for another 2 minutes until softened. Add the Mushrooms and cook, stirring, another 4 minutes until tender. Add Cognac to the sauce pan. Carefully light the Cognac aflame using a long match. Allow to flambée until the flame dies down naturally. Next, stir in your Beef Stock, Cream, Mustard, Worcestershire and Hot Sauce. Cook another 4-5 minutes until sauce thickens a bit. Finish with a sprinkle of Black Pepper. Turn flame to the lowest heat to keep warm. Heat up a grill or grill pan over high flame. Cook each skewer about 2 minutes per side until medium rare or done to your liking. Stir Parsley and Chives into the Sauce Diane and remove it to a small bowl. 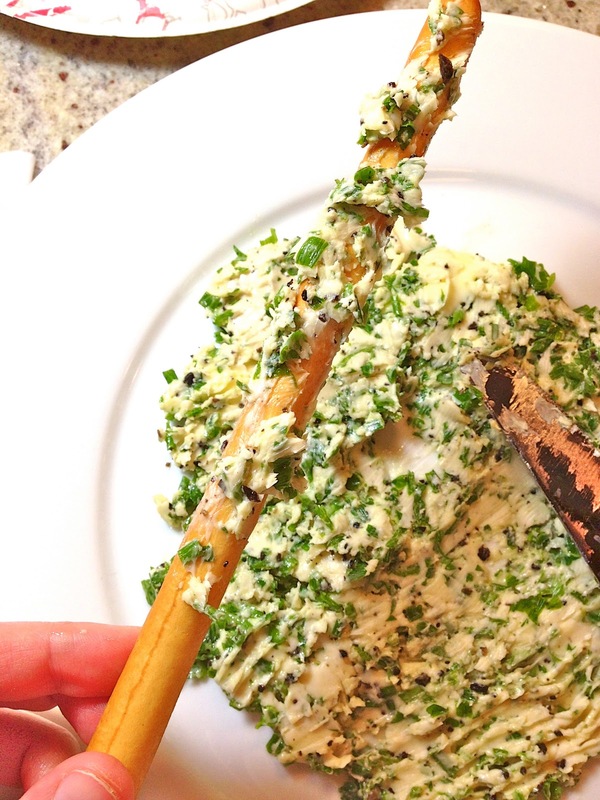 Serve with Skewers around the sauce and garnish with extra Chives and Parsley. Since everything old is new again, I figured why not revamp another Sixties' holdover: Ambrosia Salad. Ambrosia is said the be the nectar of the gods, but this questionable creamy Fruit Salad with Coconut and Mini Marshmallows appears to be anything but. Still very popular in the southern states, there's no doubt that Ambrosia can indeed be incredibly delicious, but I think we can agree that the standard presentation leaves much to be desired. If you fancy traditional Ambrosia, I really love the following recipe and post from a blog called The Country Cook HERE. To modernize this dish and make it more visually appealing, we took all the creamy, marshmallowy goodness of it and turned it into a more palatable fruit dip. This recipe is easily adaptable to any fruit that suit your tastes, and bonus - our version is deliberately lighter in calories and fat. A sprinkle of toasted Coconut enhances both the taste and visual appeal. We hope you take a dip! *When toasting Coconut, keep an eye on it as it burns and smokes easily. Once golden brown flakes begin to appear, it is done enough. In a large bowl, combine yogurt and cream cheese until well incorporated. Gently stir in Marshmallow Fluff, sprinkle on Powdered Sugar, and add Cool Whip. Stir to combine. Add half of the Toasted Coconut to the mixture and stir again to incorporate. Serve Dip in a bowl surrounded by assorted fruits. Top the Dip with the remainder of the Toasted Coconut and sprinkle additional Coconut over Fruit as well. Refrigerate dip until ready to use. Enjoy! We hope you enjoyed our Mad Men Party Bites Menu. Until next season! And enjoy the show!